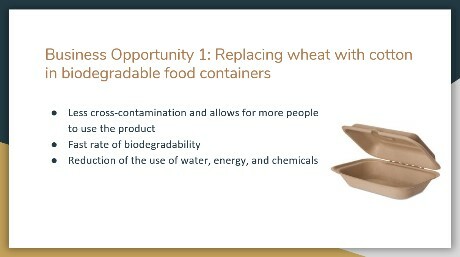 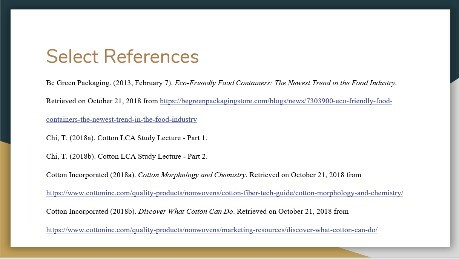 A series of new lectures were developed to cover the following topics: cotton life cycle assessment (LCA) method and results (2 lectures); major phases of cotton supply chain (1 lecture); and identification and quantification of the environmental impact of major contributors in the phases of cotton agricultural production, textile manufacturing, cotton garment production, consumer use, and end-of-life disposal (2 lectures). 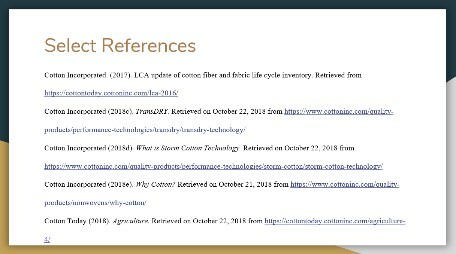 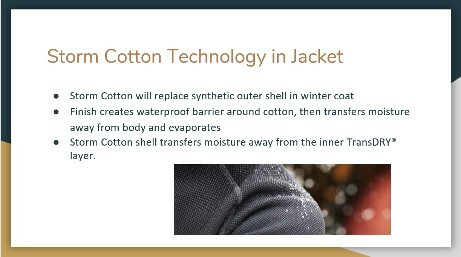 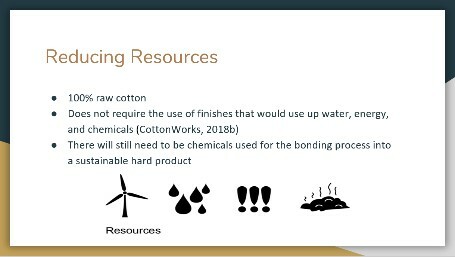 Two activities added are 1. search sustainable cotton information in CottonWorks.com; and 2. cotton sustainability debate. 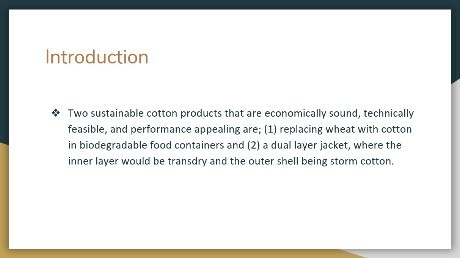 Two assignments included are 1. 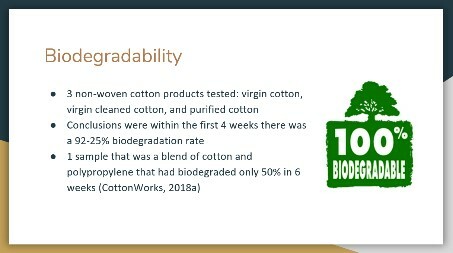 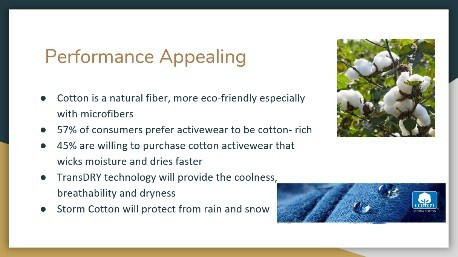 Discussing the evolution of cotton sustainability; and 2. marketing sustainable and innovative cotton products with accurate and scientific data. 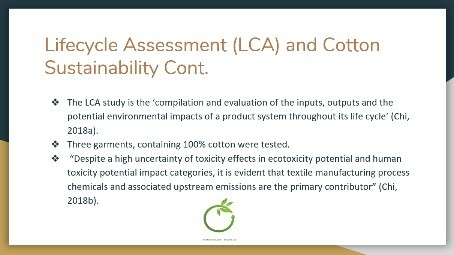 A two-phase group project was developed to help students understand, develop, and market innovative and sustainable cotton products based on the LCA information. 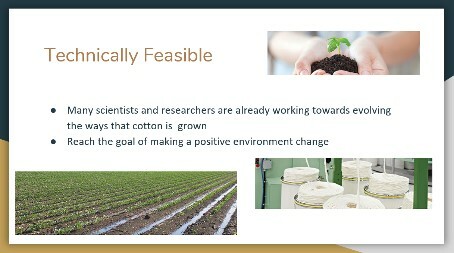 Phase one of the project is the development of innovative and sustainable cotton products and phase two is business opportunity analysis and marketing plan for the proposed innovative and sustainable cotton products. 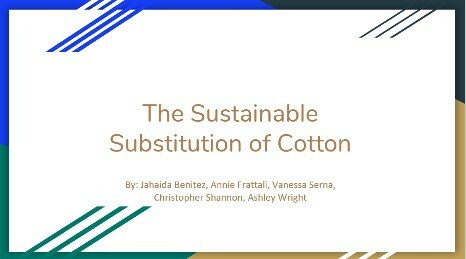 Each group, consisting of 4-5 students, submitted a report and orally presented their findings at the end of each phase of the project. 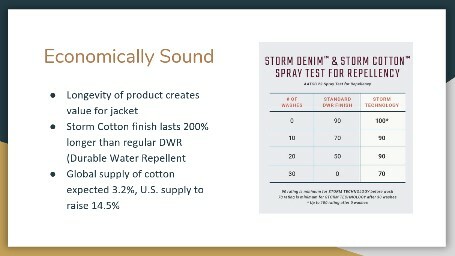 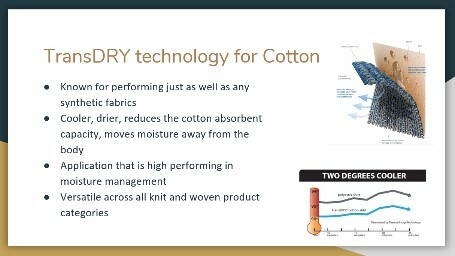 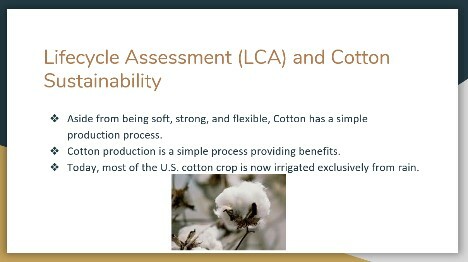 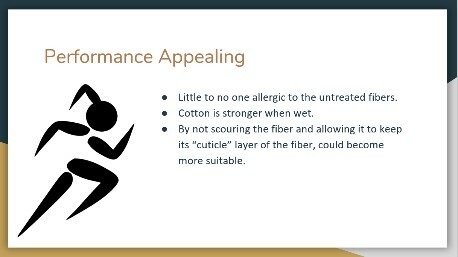 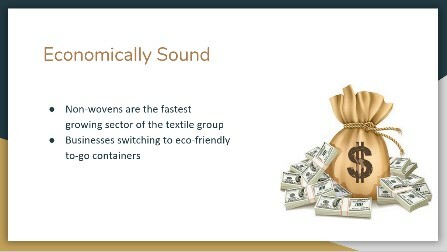 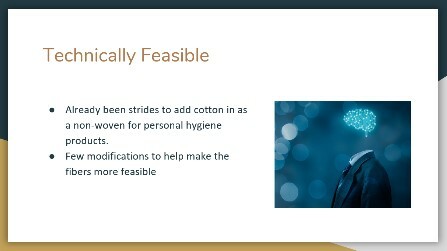 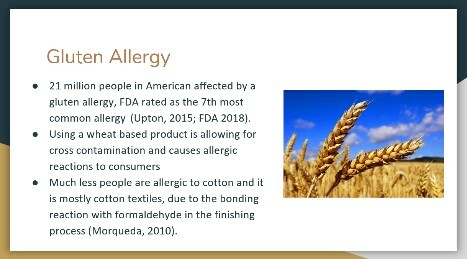 The achieved student learning outcomes include 1. comprehended LCA method and its application on cotton products; 2. applied the LCA results in cotton product supply chain analysis; 3. proficient in finding needed information in CottonWorks.com and major cotton websites including cottoninc.com, cottonleads.org and cottontoday.com; 4. articulated cotton sustainability based on accurate and scientific data; 5. applied cotton sustainability knowledge to a business setting in a realistic way; and 6. developed an viable marketing plan to promote innovative and sustainable cotton products. 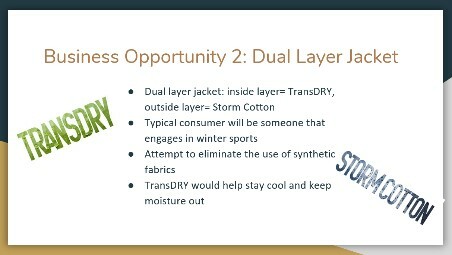 the outcome of group project 1 will be used to further develop a marketing and promotion plan in group project 2.